Have You Seen This Location? 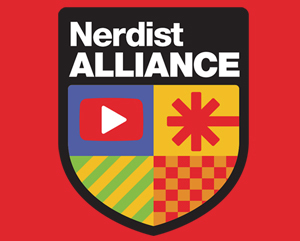 Our ninth LOCATION, LOCATION, Location? is appropriately a 2-locations-for-1-movie this week to coincide with the theme of the film in question. Read on if you want to live … I mean, find out the answer. If you’re a film fan with any love of superb action movies, then this week’s location entry isn’t that hard to identify. 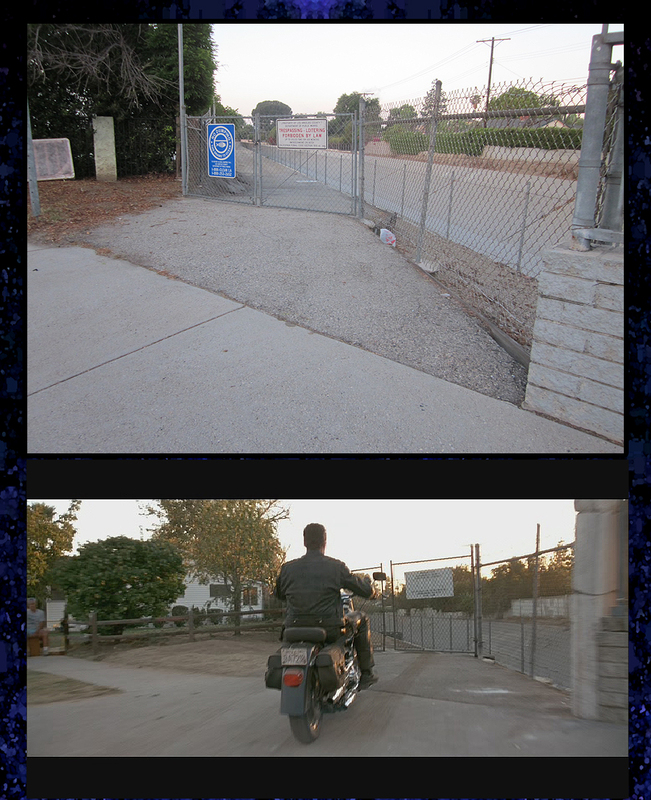 A quick analysis and scan of the territory in question should help you to quickly assess that the movie location(s) in question belong to 1991’s mega-blockbuster hit, Terminator 2: Judgment Day, directed by James Cameron and starring Arnold Schwarzenegger in his defining acting role. James Cameron’s follow-up to his initial The Terminator film from 1984 went on to become a blockbuster summer hit in 1991 that firmly established Arnold Schwarzenegger as the ultimate action movie star and set a benchmark for how action films cannot only be exciting and massively entertaining, but can also carry an involved storyline with pathos and purpose. Jumping off from a limited appearance in Cameron’s previous film, The Abyss, a more expansive use of digital special effects were utilized in Terminator 2 that eventually paved the way for the groundbreaking dinosaur effects seen in Jurassic Park only two years later. 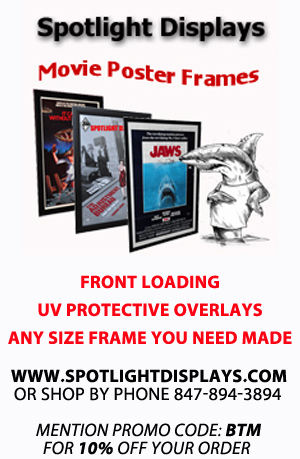 The special effects industry and films to follow would never be the same. 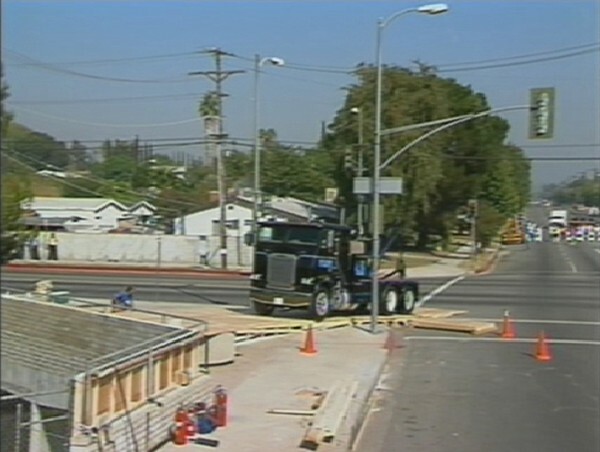 One bravura action sequence in T2 involves the T-1000 (Robert Patrick) driving a Freightliner semi-tow truck in a relentless pursuit of the hero of the film, John Connor (Edward Furlong), on a trailbike through the Los Angeles drainage canals with the T-800 (Arnold Schwarzenegger) not far behind. Clocking in at over 4 minutes, the chase is a defining moment in the film that leaves audiences breathless for its entire duration. 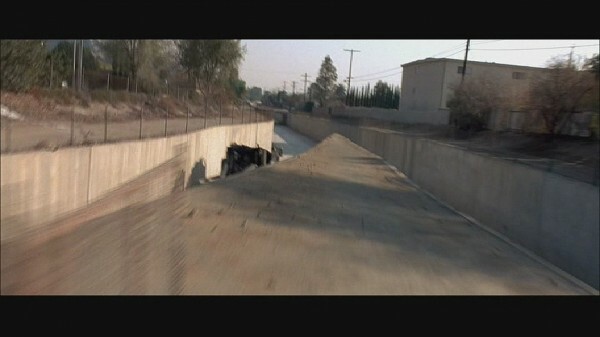 To acquire all the footage needed for the chase, the filmmakers secured permission to film within the Los Angeles canals and covered over 10 miles of terrain at various locations. It may seem like it was filmed all as one continuous chase, but it is actually a combination of clever editing of footage from multiple, carefully selected areas throughout the canals. 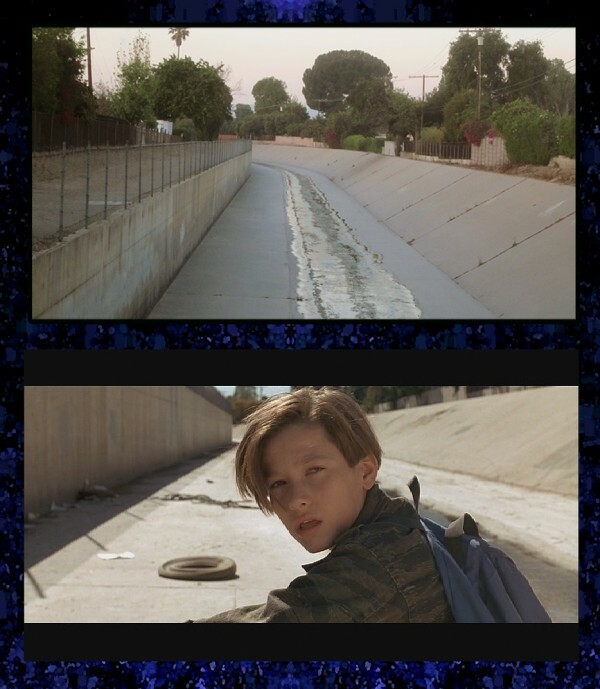 It’s great to report that the locations for Terminator 2 that took place in the Los Angeles drainage canals haven’t changed much. This is mainly due to the fact that trespassing over locked and barb-wired fences into the canals carries a stiff fine of $1,000 and 6 months imprisonment. 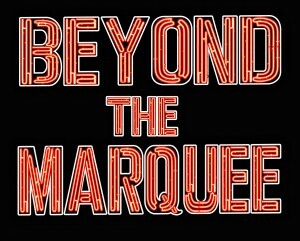 We here at Beyond the Marquee don’t have that kind of money or time in our budget, so we chose to abide by the law … which is why some of the picture angles in this post aren’t entirely screen-matched. Before we get into the NOW and THEN pictures, here is a clip of the entire chase as seen in the film to refresh your memory. 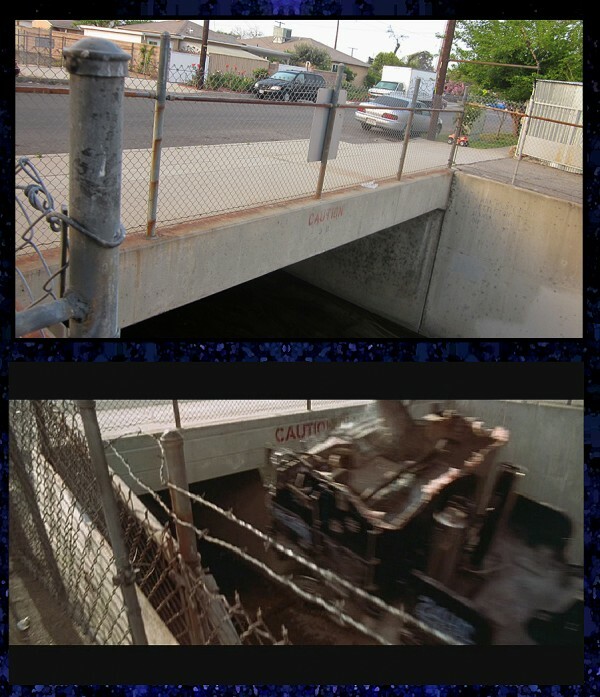 Our first NOW and THEN picture provides the entry point for the T-1000 to get the semi into the drainage canal to chase John Connor. Located in North Hills, CA, the location is often publicized by Terminator fans online who can easily identify it’s location from the film by seeing the street names in the footage. To make the spectacular stunt work, the filmmakers built a false top to the bridge for the truck to smash through (and provide a much more cinematic burst through concrete). A wooden ramp was built that elevated the truck just enough to get over the original construction of the bridge. With a running start (see footage here), the truck got up to speed and literally, as you see it in the film, smashed through the wall and crashed down into the canal. 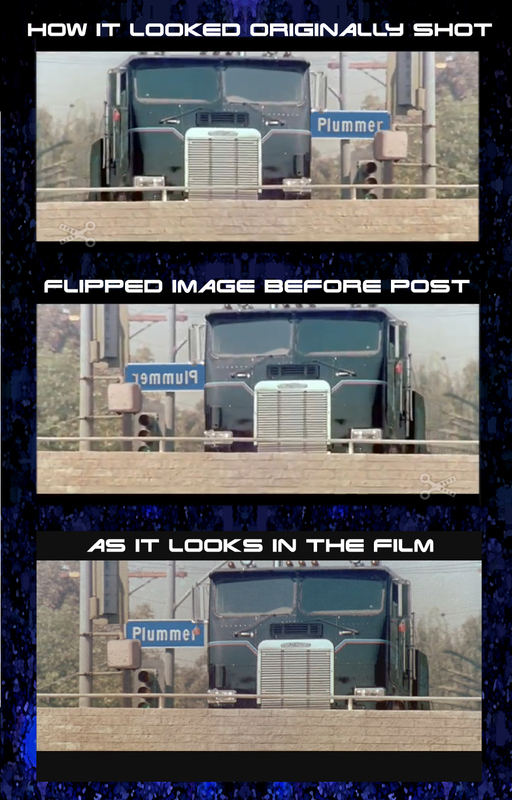 A little known fact is that the initial scene of the truck approaching the bridge is a reverse image of the footage that was shot due to limitations in camera placement and correct axis blocking for the sequence. The reversing of the image forced the filmmakers to have Industrial Light & Magic correct the street sign in post production and was lauded by Cameron for being the first time an image could be digitally altered without any loss of quality through post processing. A breakdown of the filmmakers’ slight of hand for the beginning of the ‘T2’ canal chase sequence. The jump location today no longer sports the false top that the filmmakers built and is adorned by large planters on the sidewalk area of the bridge. The canal in this location is surprisingly clean and free of garbage and clutter. 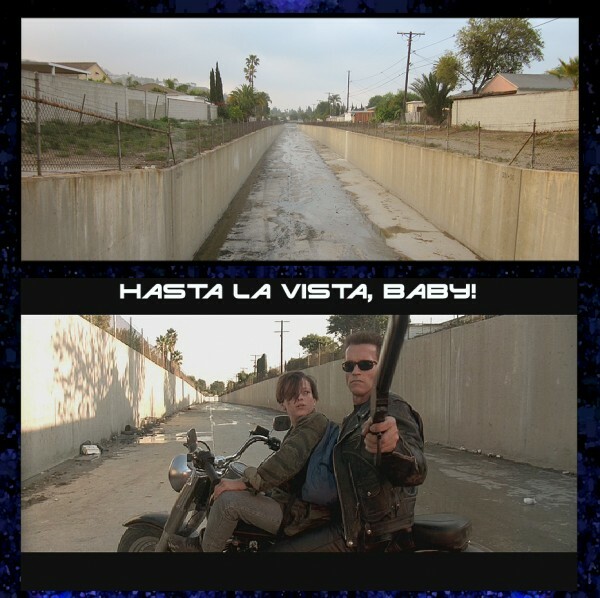 A little research into the history of the Los Angeles canals reveals that since the city took control, years after the filming of T2, the canals have been well-maintained and preserved. 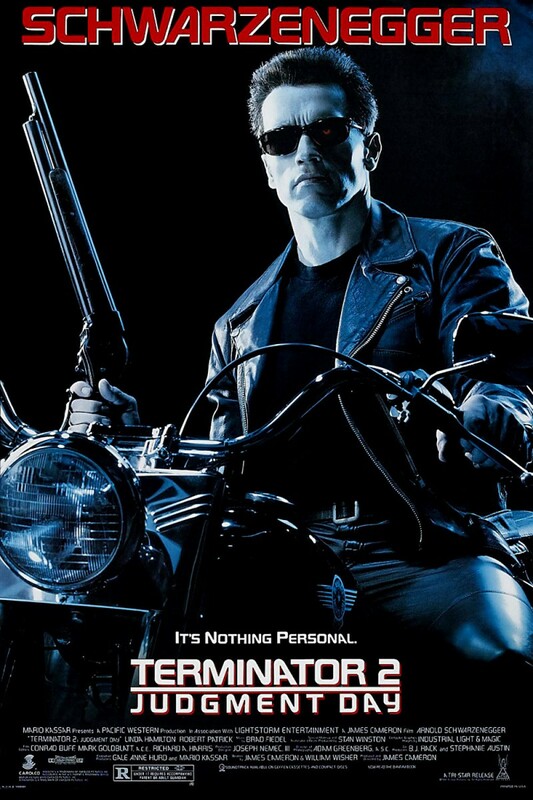 The location also served as the entry point for the T-800 played by Schwarzenegger riding in pursuit on his Harley-Davidson motorcycle. Off to the left of the truck jump point, an access gate fitted in between the canal and a residential yard can be seen in the film. Today the residential yard is more secure behind a large fence and foliage, but the access point through the chainlink fence remains the same. The T-800 entry point to the canal. The canal where John Connor looks on in disbelief at the approaching truck. An overview of the truck jump location before the stunt was performed. Moving onward from this location, the climax to the chase does not even occur downstream in the same drainage channel from the initial entry point. Rather, the filmmakers chose a location approximately 12 miles away in Sun Valley, CA for several pieces of footage that would lead to the explosive conclusion. The sequences found in this second location are the ripping off of the top of the tow truck, the jump-off point for the Harley-Davidson motorcycle jump, and the overpass location where the tow truck ultimately crashes. The identification of these locations has never been uncovered online as far as we can tell and is exclusive to Beyond the Marquee after a very diligent search. We searched Skynet for the precise location, but had to pull in the big guns for help on this one and reached out to stuntman on the film, Peter Kent. Kent was Arnold’s primary double and performed the majority of the amazing stunts seen in the film that made Arnold look indestructible. Wearing facial prosthetics to provide an almost indistinguishable look from Schwarzenegger, Kent can most notably be seen in the landmark stunts where he’s jumping a Harley-Davidson motorcycle off a culvert into the canal and also leaping from a moving pickup to a moving big rig in the film’s final action set piece involving vehicles (a high-risk stunt which James Cameron admits he would only allow to be done digitally nowadays). When asked for an approximate area to search for the jump and crash locations, Kent provided us a general start-off point of where to look and quipped by adding, “It’s 20+ years and I’ve had a few hard knocks, so that’s the best I can do. Good luck.” Luckily for us, Mr. Kent’s tip helped out quite a bit and we’re glad to show these locations as they look today. 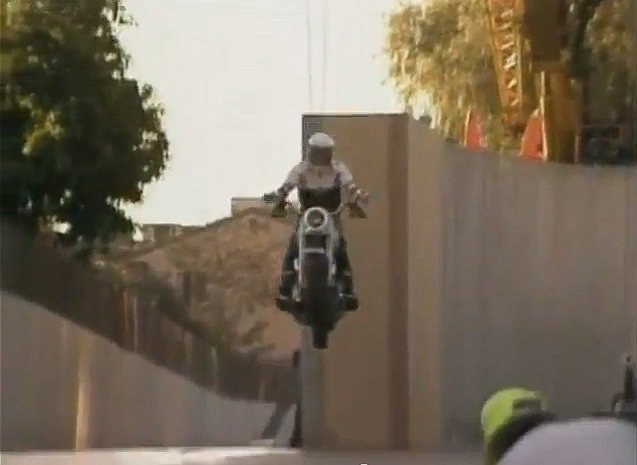 Although jumps are common in action pictures, director Cameron insisted that this one use a real 780-pound Harley-Davidson, not a stripped-down dirt bike. To ease the behemoth bike’s descent, [Stunt Coordinator] Joel Kramer set up two huge construction cranes to the right and left of the shot, 600 feet apart. A one-inch cable was strung between the cranes, and at the center of the cable an eight-foot spreader bar was attached. The motorcycle, with stuntman Peter Kent on board, was then hung from the bar like a marionette. A behind-the-scenes shot of the ‘T2’ Harley jump rehearsal. The culvert as it looks today does differ slightly from what is seen in the film as the filmmakers did make necessary modifications to the concrete wall in order to complete the stunt. A false end was constructed which provided a wider base for the bike to jump. 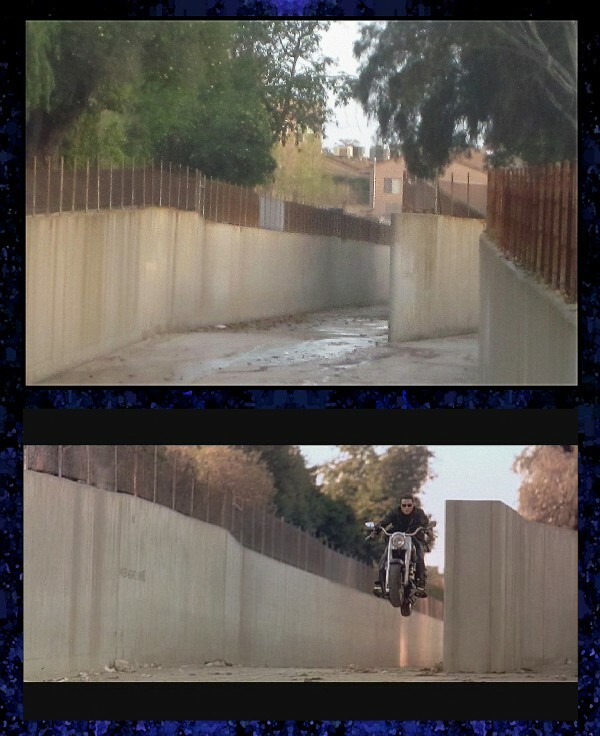 If you look closely at the chase, footage filmed above the canal shows the pointed end of the original concrete wall, however, mere seconds later with the shot of the jump, a blunt, square end can be seen as an addition. The top of the culvert (with original pointed end). In the distance, the overpass for the chase finale can be seen. 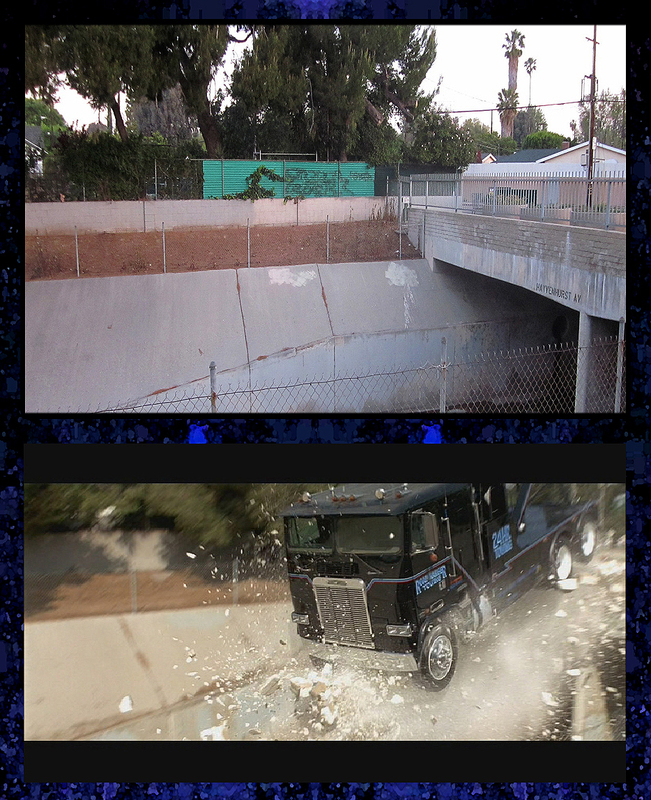 Early on in the chase, the roof of the tow truck is ripped off by a low-level overpass which was not originally intended by the filmmakers as a story element, but was required when they realized that the 9’11” clearance would not accommodate the height of the truck for the duration of the chase through the canal which had many low-level bridges. The truck’s roof was pre-rigged to crumple on impact and shear off as it passed under the real-life structure. The location of the roof tear-off overpass is still not verified as even the filmmakers couldn’t recall where it happened when we asked them. However, some intrepid investigation does seem to indicate that the roof’s tear off location took place at one of two bridge overpass possibilities very near the motorcycle jump point. For the finale of the chase, the filmmakers utilized a bridge located just south of the jump-off culvert and amped up its set dressing to accomplish the explosive crash of the tow truck. The underside of the bridge originally did not have a concrete divider, so the the crew had to create a secure base and facade upon which they could crash and stop the truck. An overlay was put over the original concrete face of the bridge to protect the structure from the impact and the cameras were set to roll. Look close at the pictures below and you can see a fine line indicating where the filmmakers added a false front to the bridge face. Freeze-framing the explosion under the bridge also reveals the concrete divider facade exploding into pieces as a result of the fiery blast. The bridge overpass used in ‘T2’ for the tow truck crash. A combination of film and behind-the-scenes stills showing the truck crash site for ‘T2’. As an endcap to the chase scene, we see the T-1000 emerge from the wreck unscathed in one of the most iconic digital special effects shots from the film. Shortly thereafter, the T-1000 is seen at street level blending in with municipal police and firefighters to continue his search for John Connor. The street and houses above the canal remain the same and are easily identifiable with a screen-grab matchup. The T-1000 continues his pursuit at street level. 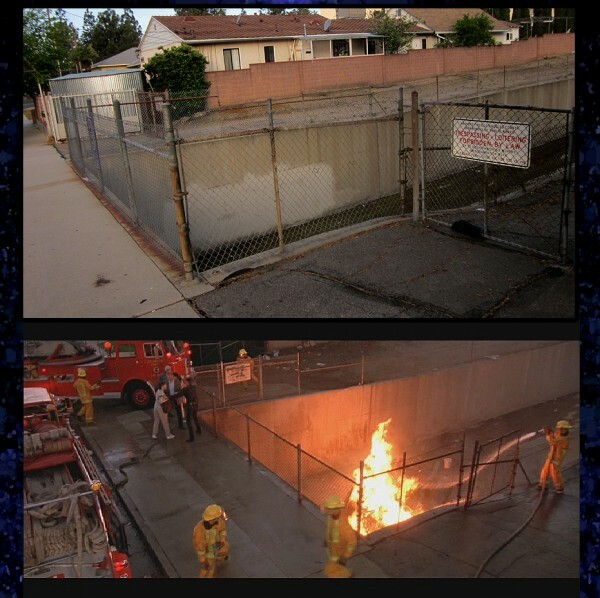 One of the great things about Terminator 2: Judgment Day as a film for location scouting is that the majority of locations can be found in Southern California. This LOCATION, LOCATION, Location? 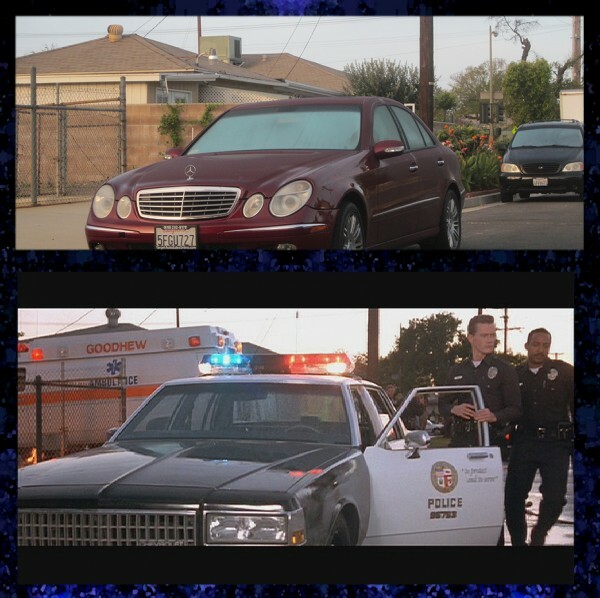 article just covers two locations used for one sequence in the film. 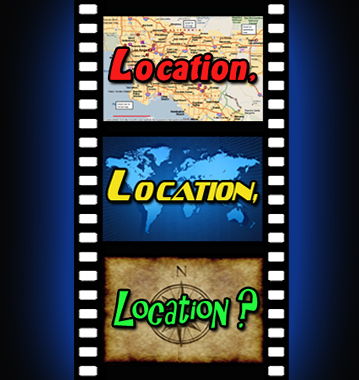 There are many other locations for this film out there to discover, so do your research, download the necessary information and begin your own pursuit to see the movie in real life. 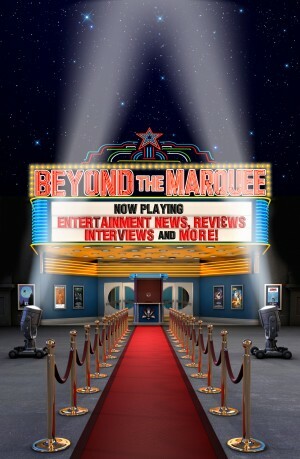 As part of a fun series here on Beyond the Marquee, I will be choosing random filming locations from some famous (and not so famous) film and television productions throughout the years. They will be posted here for our viewers to take a guess as to what movie or TV show the location was used. The location as it looks NOW will be posted on Monday. On Wednesday, I will post the answer and THEN picture identifying the location as it was seen on the large or small screen. Some entries may be very easy to guess, others may be difficult and sometimes I may give a clue that will help point you in the right direction. « Was the Past Better Than Our Present and Does It Hold the Key To Our Future? Thanks for sharing these photos they are amazing. I went to California (im from the UK) last year and took various pictures of T2 locations but I only found these locations recently thanks to research on google earth. Looks like you beat me to it! AMAZING! WOW! I’m excited to now go back and see this movie again, really cool seeing the then and now pix. Fun Feature.